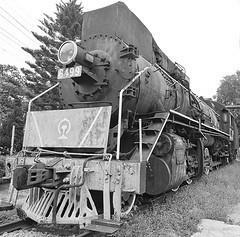 Dongfang Railway Museum is located in Dongfang City. As well as the railway exhibits there will soon be an exhibition of photographs from the second world Japanese occupation. The exhibition displays photos depicting a rescue mission on August 27th, 1945, by which Australian and Dutch prisoners and 90 Chinese escaped from the Japanese army’s control under the help of nine airborne members of Allied forces in Dongfang City.